There are many terrible ways to measure self-worth. This is not one of them. A story I heard years ago recently came to the forefront of my memory. For weeks and months, day in and day out, a woman had been discouraged every time she stepped on the scale. She tried to do everything right by exercising regularly and eating as well as she knew how, yet the number that flashed before her each morning always seemed too large. And every day, her sense of attractiveness and self-worth suffered because of that number. At one point, the woman traveled and noticed a scale in her guest bathroom. Tentatively, she stepped on it, waiting for the same judgment to appear on its screen. But this scale was different. She weighed much less. Thinking it was a fluke, she stepped on another scale at a store later that day. The same good report came back: she was significantly lighter than she had thought. Turns out, the scale she had used at home every day had been wrong all along. A false number had caused her such pain and insecurity. At first glance, it might be easy to be lulled by the story's tidy ending, projecting that the woman moved forward in her life with increased confidence. But, if I may be entirely candid, let me share the reason I recently remembered the story at all. The other night while my husband was trying to sleep, I whispered something that had been weighing on my heart. "I've been looking at my blog stats," I began. "They seem low. I think they're really low." As my words spilled forth, I confessed to him in the darkness that at one point, after I had published a well written post that only garnered marginal pageviews, I even had wondered if the site's measurements were off. Maybe it's not counting right? Maybe there's supposed to be a zero added to the end? And that's when I remembered the story about the woman and the scale. 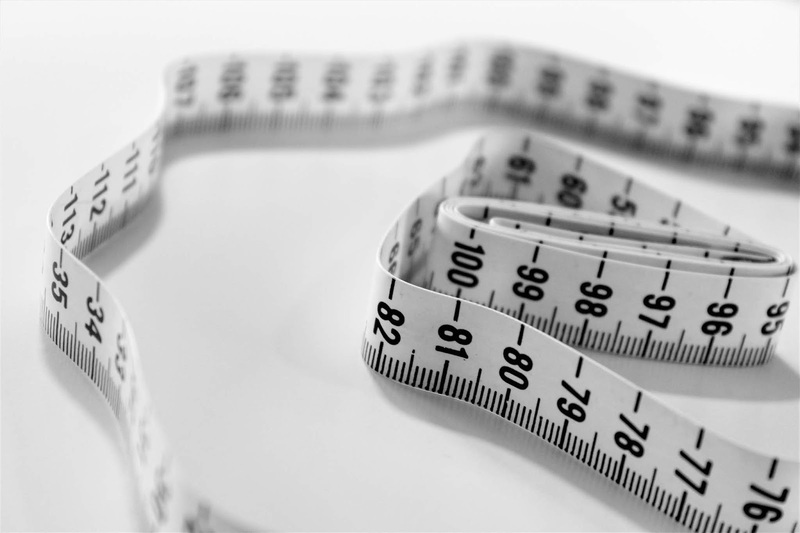 Then I wondered something darker: what if the scale we're using -- whether for our literal weight, our blog stats, or some other measurement -- is accurate? What if it's as bad as we fear? Where's the redemption in our stories if those numbers, cold and hard on a screen, don't equate with what we (or what the world) deems to be beautiful, successful, or good? That's hard to swallow. It was hard for me to swallow that night lying in bed, feeling as if I were failing somehow. In the subsequent days, I kept mulling over the story. The longer I thought about it, the more I realized something striking. In many ways, it didn't matter whether the scale was accurate or not. The woman's self-esteem hinged on its number, both when it was high and when it was low. The scale held a lot of power. And maybe, just maybe, that's what's broken. After all, it's terribly easy to measure our worth by factors that truly don't capture our worth. It's terribly easy to measure our worth by factors that truly don't capture our worth. I know this in my head. Over the years I've written about it, I've spoken about it, and I've encouraged others about it. But sometimes I need a refresher. I need to drop the message ten inches from my head and tuck it into my own heart. Today, my friend, maybe you need this reminder, too. We're bombarded by quantitative data that supposedly indicates how well we're performing. Numbers capture our salaries, our size, our followers, and our work performance. Numbers comprise my college students' grades, and numbers reflect my teaching performance. Numbers measure the speed, strength, tackles, completions, and every possible on-the-field nuance performed by the football players who my husband works with daily. We can't escape it. We live in a data-driven world, and it's accentuated by how easily this data is spread, shared, commented upon, and compared. Still, we don't have to let it define us. Numbers measure something, but that something is not our worth. I'm not so naive to believe that numbers never matter. We enjoy feeling good about ourselves, after all, and losing a few pounds can be a mood-booster that makes us feel healthy, capable of reaching goals, and committed to our well-being. If this blog post is read broadly by tons, not tens, of readers, I'll enjoy the uptick. If someone gets a raise, or a student earns a good grade, or a running back breaks a record for yards rushed, it's healthy to rejoice over those numbers. They're great accomplishments. But accomplishments, whether noteworthy or not, never paint the whole picture. They don't capture the heart. They don't reflect our effort or discipline when we remain faithful. Numbers don't account for moments of anonymity when we do something simply because it's right and we're called to do it, not because it will be measured or rewarded. 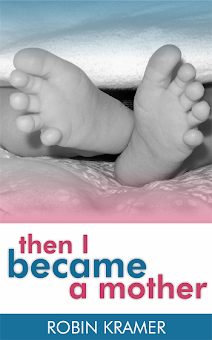 Numbers don't take into account when God says, "Well done, my child." I won't lie, I wouldn't mind having more traffic -- like, rush hour on the Capitol Beltway traffic -- for my blog. But, in my core, I know I won't be any more content or successful if my blog explodes. I write with the goal to encourage my readers: to make you nod along in understanding, bolster your faith, and cause you to laugh. I want you to leave here feeling better than when you came. When this is my focus -- not blogging stats -- my time spent writing is healthy, helpful, and in alignment with God's will. 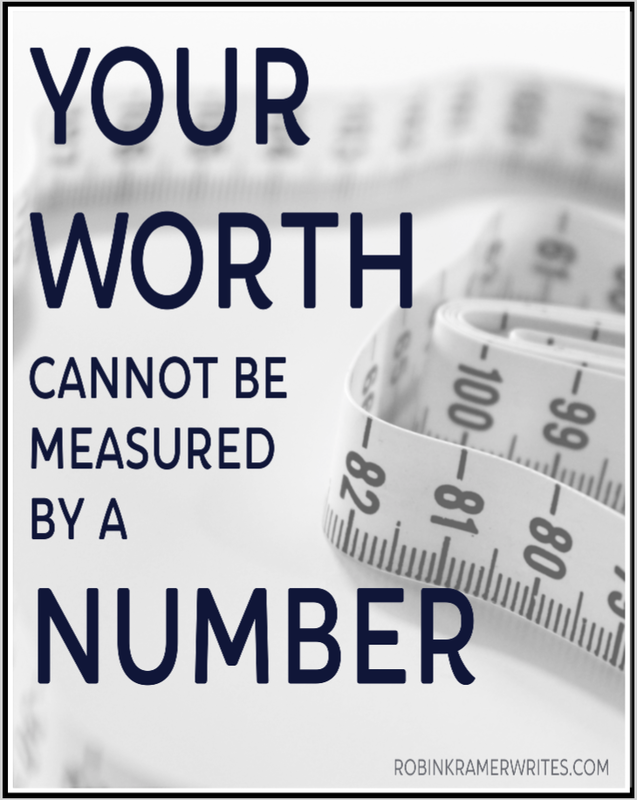 There are plenty of terrible ways to measure our worth. Let's throw out the broken scales. And, perhaps, let's tread lightly even when, for better or for worse, our scales seem to be accurate. After all, something as arbitrary as a number never can fully capture the essence of our worth. "But, in my core, I know I won't be any more content or successful if my blog explodes. I write with the goal to encourage my readers: to make you nod along in understanding, bolster your faith, and cause you to laugh. I want you to leave here feeling better than when you came. When this is my focus -- not blogging stats -- my time spent writing is healthy, helpful, and in alignment with God's will. AMEN sister! Loved this, my friend. I always look forward to reading your emails. They have been food for my soul and comfort for my heart on too many occasions to count. Thank you for making me smile, cry, and laugh...sometimes in the same post. Keep writing and I promise to keep reading! May God bless you. Your kind words made my day more than you'll know. Thank you!